It happens to the best of us: Mid-presentation, we suddenly notice something both unnerving and terrifying: vacant, bored, or – heaven forbid – hostile faces in our audience. We might try to talk faster … or slower. But in all likelihood, pace isn’t our problem. 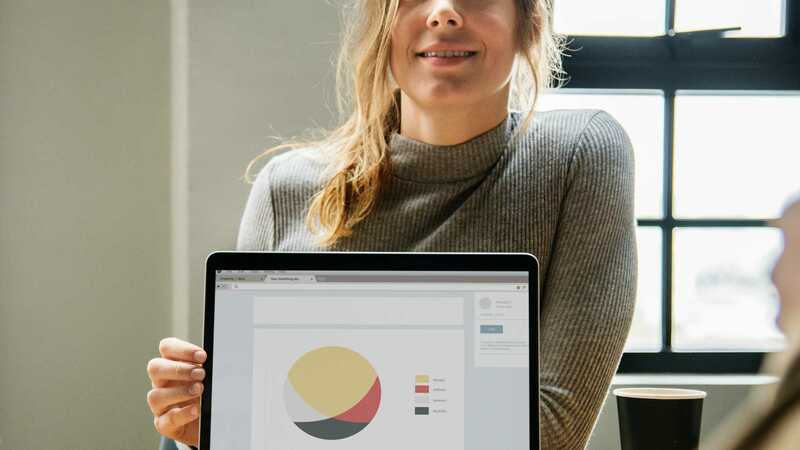 Even well-prepared, audience-focused presentations can fall flat because we face a crowd of co-workers, executives or customers who serve different functions and care about vastly different things. The problem is that we usually communicate our ideas in a narrow, singular context that might directly resonate with one audience member but doesn’t apply to the others. For example, let’s say you’re trying to push a radically new program to the C-suite at your company. Pam, the CTO, wants to hear the technical specs. Robert in HR is primarily interested in how many new hires the initiative will require. Maria, the CFO, is laser-focused on which P&L this new service will fall within. Yes, you have one audience, but in actuality, you are facing (at least) three. So, what can you do? How can you broaden your sights? How can you expand the story of your new initiative, product or recommendation to reach these different audiences? Simply put, you must grow your story. Before we explore how to grow a story, let’s look at basic story structure. All great stories are made up of four signposts: setting, characters, conflict and resolution. The Why: The context of the story, the “why,” is established by the first three signposts and answers the question, “Why should I care about the proposal, product or idea that you are going to reveal?” Your audience will more likely buy into new ideas if you first establish some context. 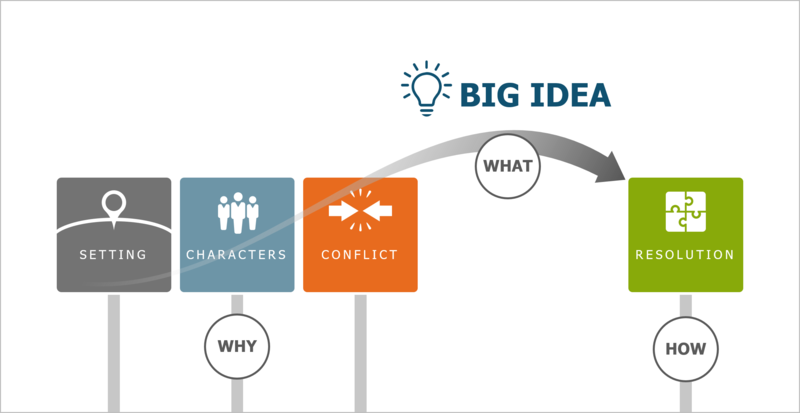 The What: Good stories should always contain a big idea, which is the “what” of your story. It’s the one thing you want your audience to remember. Every fact or piece of data you include should be directly connected to and support your big idea. The How: The fourth signpost of storytelling is your resolution: How you are going to implement your ideas? For engineers, it might be details on timing and resources for a new product. For salespeople, it might be the unveiling of new pricing options. For CEOs, it might be revenue forecasts presented to the board. The resolution is how your big idea will come to life. To “grow” your story to keep a diverse set of executives interested, introduce multiple characters that will resonate with their varying interests and needs. Keep introductions brief, and then portray each character facing a meaningful conflict. What’s important is that with each character, you are speaking specifically to the different constituents in your audience. By doing so, you are demonstrating that you uniquely understand them. After you’ve introduced setting, multiple characters and conflict(s), you must “resolve” the issues. Building a resolution “landing page” is an excellent way to guide your conversation and show your audience where you are prepared to go. This visual map drills down to more detail on each conflict, arranged as subtopics. It allows you to respond to your audience in the moment by easily navigating to areas of interest. When your audience has a visual representation of what you are prepared to discuss, it invites conversation and lets you dig in and address their specific needs. It’s as easy as clicking back to your home base and drilling down into another area. It’s not easy to address the needs of everyone in your audience, but recognizing that there are often many different needs is a great place to start. If you’re presenting to a group, structure a narrative that speaks to as many constituencies as possible. A flexible story that includes multiple characters and addresses their conflict demonstrates that you have broad considerations about who is affected by what you are proposing. Hopefully, this approach will catch (and keep!) everyone’s attention. Republished with permission from TrainingIndustry.com.